Heating & Air Conditioning Sales & Services. AUTOMATIC COMFORT SYSTEMS is a small, locally owned, independent LENNOX dealer specializing in heating and air conditioning sales and services. We install LENNOX heating and air conditioning systems as well as many other brands including Goodman, WeatherKing, Rheem, Ruud, Fujitsu, etc. in both residential and commercial applications. We service all makes of furnaces, air conditioners, heat pumps and boilers. 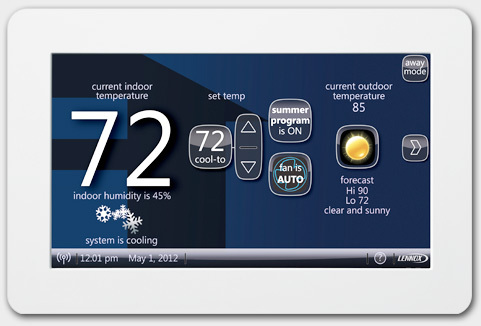 Control your thermostat from anywhere. Click here to learn more.